Liny EQ Pack has been updated to V1.2 . Liny EQ, Widening Liny EQ and Stereo Liny EQ now have a brand new Graphic User Interface. Parametr'EQ Pack has been updated to V1.1 . Parametr'EQ, Widening Parametr'EQ and Stereo Parametr'EQ's Graphic User Interface have been re-designed. Special price for one more week. Documentation about how to use Mid/Side processing has been released. It should help you use in an advanced way the Widening Parametr'EQ and Widening Liny EQ: experiment with Mid / Side processing for enhanced stereo effects. 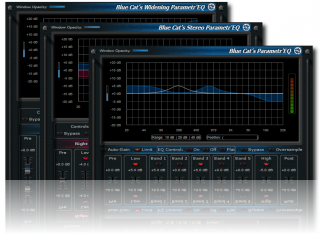 Blue Cat's Stereo Parametr'EQ and Widening Parametr'EQ are out! Special introductory price for one month. 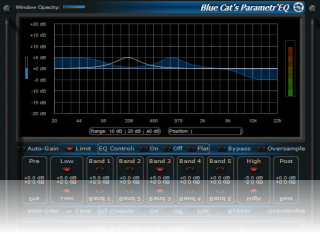 Blue Cat's Parametr'EQ is out! 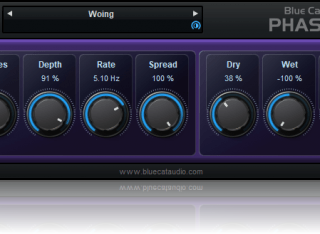 Check the demo of this WYSIWYG parametric equalizer. A quick start guide for Sony Vegas 5 for DP Meter Pro and Peak Meter has been released. Learn how to enjoy the automation envelope recording capabilities of these products. A quick start guide for Cakewalk Project 5 for DP Meter Pro and Peak Meter has been released. A tutorial for Tracktion is also available here in the Forum. Liny EQ Pack has been updated to V1.1 . Check this new version of Liny EQ, Widening Liny EQ and Stereo Liny EQ. 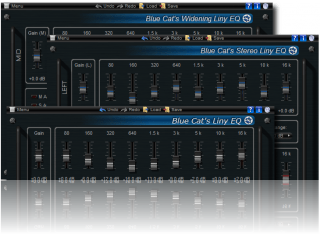 Liny EQ, Widening Liny EQ and Stereo Liny EQ have been released. These linear phase equalizers are also availble in a bundle: Liny EQ Pack. Liny EQ plugin, Widening Liny EQ plugin and Stereo Liny EQ plugin demos have been released. The FAQ page has been updated. All our Freeware products have been updated: minor bug fixes and version information availability. 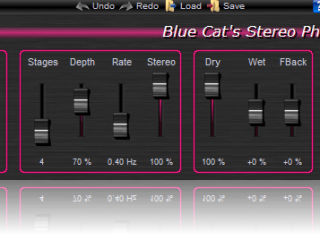 Stereo Phaser has been updated to V1.4. A demo version is now available. Special price: 20% Off until February 28th! 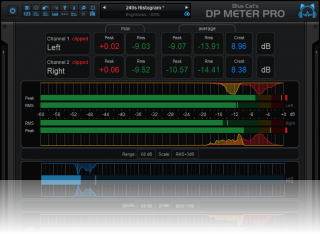 DP Meter Pro has been updated to V1.1. VST format is now supported. Special price: 20% Off until January 31st! The Forum page has been added thanks to KVR Audio who hosts our community forum. Happy new Year! 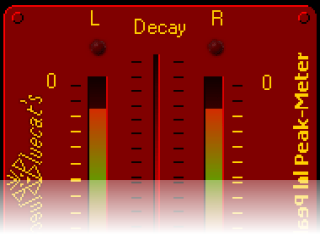 Peak Meter V1.1 has been updated: VST format is now supported, and new parameters are available. Download the new version, it's free! Stereo Phaser DirectX plug-in has been released. Flanger and Stereo Flanger have been updated to V1.3 (denormal issue fix). Phaser has been updated to v1.1 (denormal issue fix and VST format support). Flanger plugin, Stereo Flanger plugin and Chorus plugin, Stereo Chorus plugin have been updated to V1.2: minor GUI issues have been fixed. 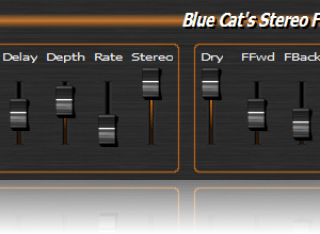 Flanger and Stereo Flanger freeware directX plug-ins have been released. Stereo Chorus freeware DirectX and VST plug-in has been updated to v1.1. The web site is being reformated. Please be indulgent while pages are being updated. 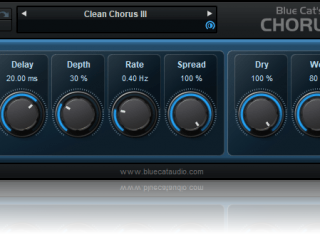 Chorus has been updated to v1.1: it is still freeware and now supports VST plug-in format. Chorus VST version is available as a beta version (0.9). Phaser 1.0 DirectX plug-in has been released. Peak Meter has been updated to v1.1. DP Meter Pro 1.0 DirectX plug-in has been released. It is an advanced version of the now famous Peak Meter product, based on customer feedback. Peak Meter DirectX plug-in has been released: measure the peak of your audio signal and record it as an automation curve. Chorus and Stereo Chorus freeware DirectX plug-ins have been released. Chorus and Flanger freeware DirectX plug-ins 0.9 beta versions are now available. 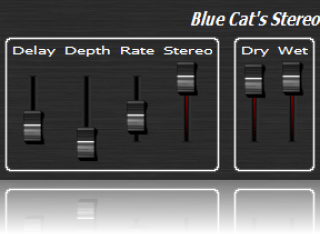 Brand new website for Blue Cat Audio products!